This is such a warming, comforting dish that keeps you satisfied and full! If following an AIP diet you have the option to make the no-mato marinara sauce or simply dress it with olive oil and seasoning. Drizzle with olive oil and place skin side up in baking dish. Place squash in the oven and bake at 400 degrees (F) for about 40 minutes or until you can pierce the skin easily with a knife. 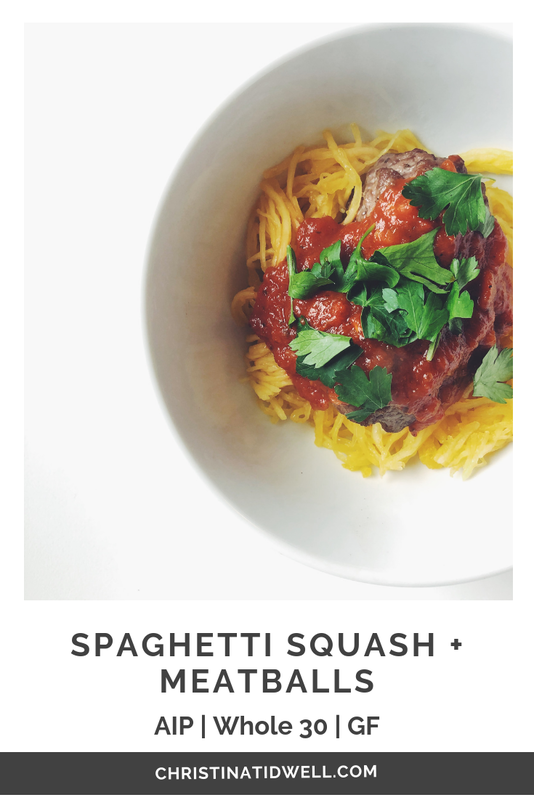 Using a fork, shred the squash into spaghetti! Combine turkey, garlic powder, oregano and salt in a bowl. Place the meatballs on a baking sheet lined with parchment paper. Bake for 20 minutes at 400 degrees (F) or until cooked through. Saute the onions until they’re tender (about 10 minutes). Add in the minced garlic and saute until fragrant. Add in the carrots, beet, and water and bring the mixture to a boil. Cover and lower the heat to a simmer, cooking until the carrots and beets are tender (about 30 to 40 minutes). Transfer the mixture to a blender (careful, it’s hot! ), add the salt and lemon juice, and blend until smooth. 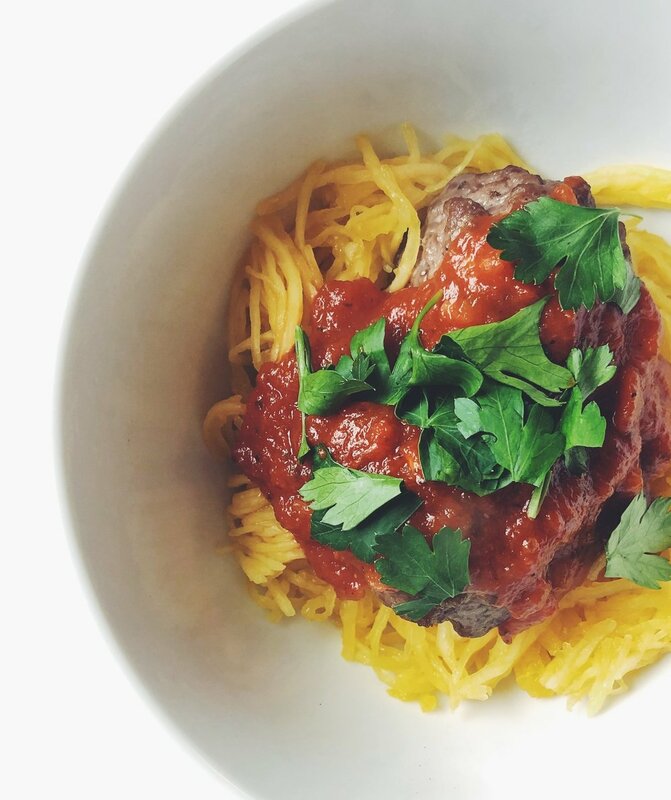 combine spaghetti squash, meatballs and sauce into a big bowl and enjoy!